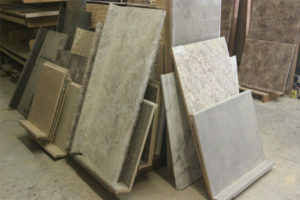 Take your home or business to the next level in design and décor with beautiful, custom countertops from Top Solutions. We provide top-quality workmanship and work hard to complete every job to your absolute satisfaction. Regardless the size or complexity of your project, Top Solutions is your top choice for professionalism and uncompromising quality. We make it our business to give you the best! So whether you want to update your kitchen with virtually maintenance free countertops or install new custom counters in your place of business, trust the experts at Top Solutions to handle all your projects with skill and efficiency. Give us a call today. We look forward to hearing from you! Wood nose build-up*, wood scribe*, wood cove stick*, ¾" nose build-up, ½" scribe, plywood (AC fir), sealant on bottom of particleboard, laminate backer, gator-ply* backer, Euro tops with 4-1/8" backsplash (*standard on plywood tops). Industrial grade particleboard with medium density fiberboard nose and scribe. All domestic laminates available. Along with handling all of your counter top needs, Top Solutions can furnish table tops,restroom partitions and any type of laminate panels and cabinet parts. Hello and welcome to our new website. 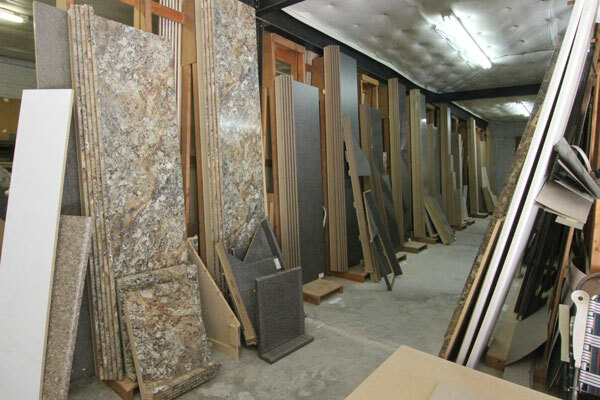 Pardon our mess while we get things in order and let us know if you have any questions about any counter tops. Thanks and come back again soon! We offer plastic laminate counter tops. The perfect countertop can be a challenge. A countertop should be durable, stain-resistant, easy to clean and attractive. 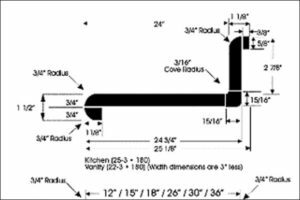 The design choice is determined by two variables: edge profile of the postformed base and the best surface care-free living. Go To Contact Us Page to Email Now!